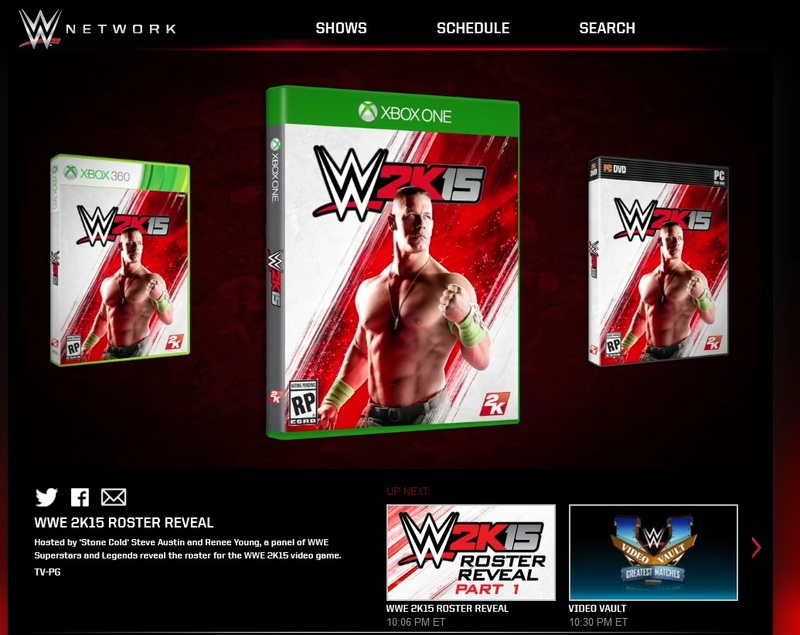 After WWE RAW aired last night, many WWE Network subscribers continued watching to see more 2K15 roster reveal details in a 30 minute special, as pre-announced yesterday in a 2K press release. The panel-show format programme, presented by WWE Hall of Famer Stone Cold Steve Austin and WWE broadcaster Renee Young, features the likes of Hulk Hogan, John Cena, Roman Reigns, Cesaro, Sheamus and Sting. However, this turned out to be essentially a cut down version of the Summerslam show, revealing the same section of the roster. The second half will be broadcast at the same time next week. A mistake? Perhaps, and indeed no PC version has been announced by 2K. However, coupled with the recent rumours of a 2015 PC release after a listing was spotted on a Korean rating board last month, this gives much hope & excitement to the PC gaming community, who, thanks to THQ’s reluctance to develop a game for PC, haven’t had a WWE game release since WWE Raw in 2002. Now it’s time for the CAWs community to start imagining the awesome modding possibilities that would come with a PC version. With 2K successfully releasing games such as their NBA series on PC each year, and Visual Concepts helping to develop this year’s WWE outing, let’s hope 2K doesn’t let us down on this one! Although 2K have still not announced anything, this video clip from the new “Cena’s Greatest Rivalries” DVD (Disc 1 extras) comes incredibly close to confirming the existence of a PC version. Around 30 seconds into this video, John Cena states that the game will be on “5 platforms”. The PC boxart is then clearly shown just seconds afterwards.